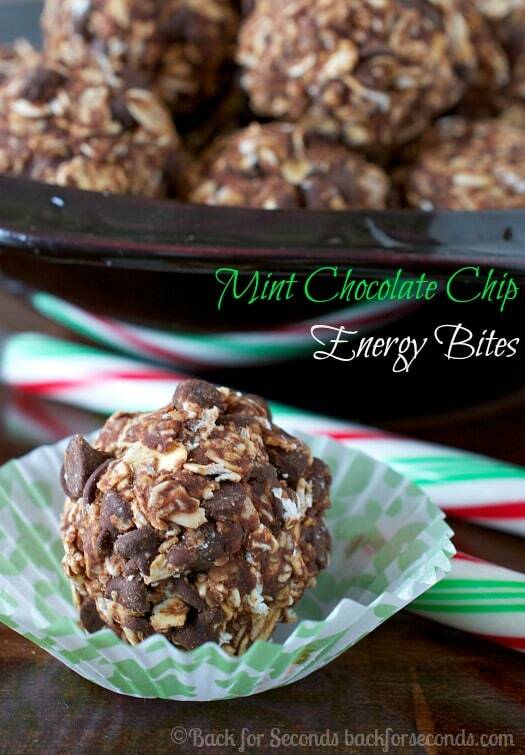 Mint Chocolate Chip Energy Bites are an easy, no bake snack you can feel good about eating! 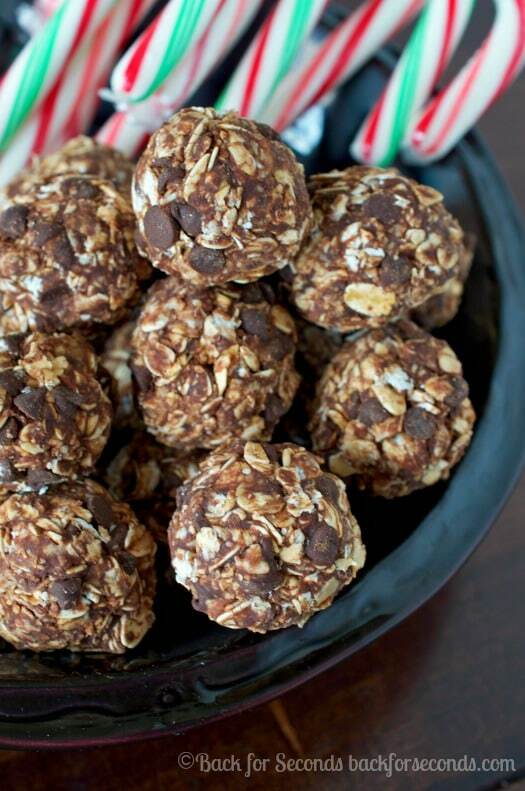 A great way to enjoy holiday flavors without the guilt! Yes, those are candy canes you see. Yes, I know it’s early. No, I don’t care. Ok, now that that’s out of the way I have a super easy, healthy snack recipe that’s screaming with holiday cheer! 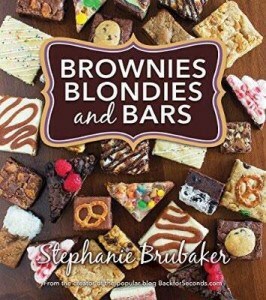 Of course you can make these year round, but it’s nice to have a healthy alternative during fudge, candy, cookie season! These delicious little chocolate mint bites make the best snack for everyone! My kids and I loved these chewy gems, and I love that I can let them eat a couple without feeling guilty. My 3 year olds helped me make these and even with their “help” we were done in 20 minutes. 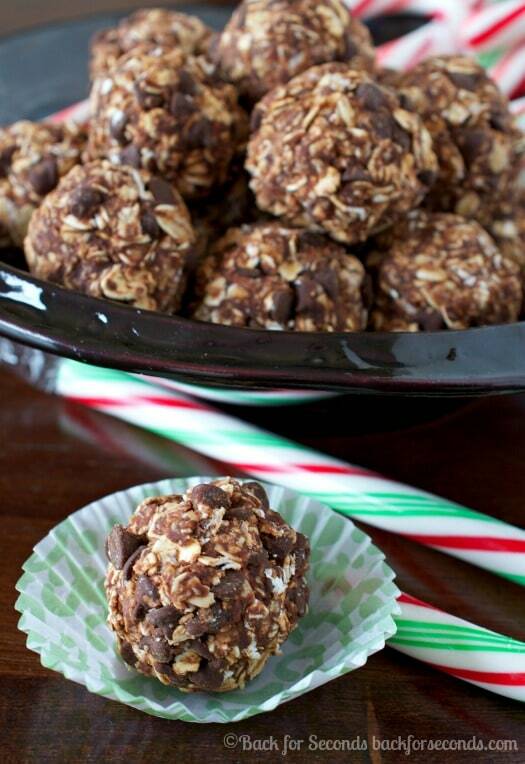 Gotta love a quick and easy no bake treat like that! I’m on an energy bite kick right now…I plan to have these little gems in my handbag for shopping marathons in the next couple weeks! 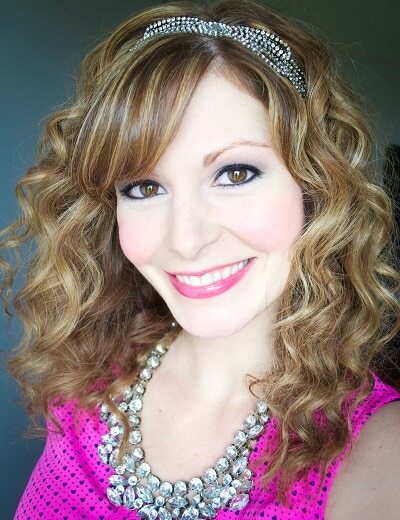 I need to just have a bunch of these on hand for pretty much every day Stephanie! Love mint and chocolate together! I have seen a few energy bites lately but this recipe takes the cake!! !